Last week Chile celebrated the International Gastronomic and Food Industry (Encuentro Internacional de la Industria Gastronómica y Alimentaria (EIIGA 2014)). One of the parties that decided to participate with a stand and everything (including food!) was the Chilean Intellectual Property National Institute (INAPI). As expected, the event is visited by the most important representatives of the culinary and food industry at national and international level . INAPI’s aim was to support the ‘Origin Stamp’(Sello de Origen) by providing information and also offering tastings of domestic products. INAPI explains that the ‘Origin Mark’ recognizes and rewards the efforts of traditional producers. It attends to “encourage entrepreneurship and productive development in local communities” through providing recognition to their products by obtaining Geographical Indications ( GIs) , Designations of Origin ( DO) , Collective Marks and Certification Marks. Finally, Mr Maximiliano Santa Cruz , INAPI’s National Director , says that with the ‘Origin Stamp’ there is hope “to foster, preserve, protect and improve the positioning of the work of artisans, fishermen, farmers and producers". In the same line, early this month INAPI granted a Collective Mark to the Association of watermelons from Paine – the collective mark being ‘Corazón de Paine’ (Paine’s heart). 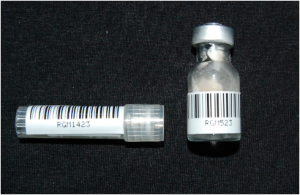 It is said that this process started in January 2013. However, the aim is to obtain a Geographical Indication (GI) for which they applied for in June. By the collective mark it is “expected to contribute to the preservation of agricultural biodiversity and tourism development of the municipality”. INAPI’s president informs that up to today there are only four Collective Marks registered in Chile. In this occasion the watermelons from Paine are said to be highly sweet and to have nutritional quality. The region of Paine is located in the metropolitan area, in the province of Maipo, and is mainly characterized by its agrarian culture. This week, the Brazilian Instituto Nacional da Propiedad Industrial (INPI) presented a certificate of Designation of Origin (DO) to the producers of coffee in the region of the Cerrado Mineiro. The event took place at a national fair called ‘Feira Nacional de Irrigação em Cafeicultura’ and was attended by farmers, exhibitors and officials. Sergio Francisco de Assis, President of the Federation that represents, manages and promotes the Cerrado Mineiro region, received the certificate and acknowledged that the “certificate summarizes years of work” and recognises the said Regions and its people. On the other hand, Lúcia Regina, who is the General Coordinator of Geographical Indication at INPI, congratulated farmers for the achievement and at the same time encouraged them to seek protection in other markets and products. The region of the Cerrado Mineiro is the leading producer of coffee in Brazil. According to Decree of the Government of Minas Gerais the region comprises an area of 147 hectares and approx. 3500 producers. The region has uniform climate pattern allowing the production of high quality coffees. While this news was reported a few months ago (here), it was this week that the event took place. As noted at the time, this is the third national product that receives a DO (there are: ‘Litoral Norte Gaúcho’ for rice (granted in 2010); and, 'Vale dos Vinhedos’ for wines (granted in 2012)). Source INPI here and here. The Enforcement Directorate (Direccion General de Observancia, or DGO) will be responsible mainly for the promotion and protection of all forms of intellectual property rights. It must develop preventive and investigative actions to suppress the effects of crime, piracy and counterfeiting—at customs checkpoints, in business premises and in other locations—and initiate proceedings regarding alleged intellectual property infringements. These actions may be taken ex officio by the DGO or on application to the DGO by rights holders or their representatives. 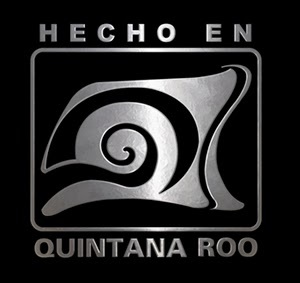 Con el objetivo de fortalecer la competitividad de las empresas quintanarroenses, el Gobierno del Estado de Quintana Roo ha creado la marca “Hecho en Quintana Roo” cuya presentación tuvo lugar a principios de este año. La meta es que la marca “Hecho en Quintana Roo” sea reconocida y asociada con el origen y calidad de los productos quintanarroenses y que facilite su colocación en nuevos mercados, tanto regionales como internacionales. La marca si bien goza del apoyo total del IMPI, en realidad no se encuentra registrada ante el propio IMPI como tal, sino que, como nos cuentan nuestros amigos de ALHEN, la protección de la misma tiene lugar mediante dos diferentes figuras plenamente reconocidas: la Marca de Certificación de Calidad y la Indicación de Procedencia. La Secretaría de Desarrollo Económico de Quintana Roo ha publicado una serie de Preguntas Frecuentes sobre el uso de la marca “Hecho en Quintana Roo” que pueden consultarse aquí SEDE. Debido a un intenso programa de difusión para incentivar el depósito de cepas en la Autoridad Internacional de Depósito chilena y a la inauguración el año pasado de un laboratorio que permite entregar un mejor servicio de conservación, se realizó por primera vez en el INIA de Chile el resguardo de material biológico para procesos de una patente extranjera mediante depósito del Instituto de Ecología A.C. de Veracruz (México). La cepa depositada se mantiene por un período de al menos 30 años mediante un proceso de criopreservación, para lo cual se somete a un proceso de congelación en nitrógeno líquido (-196°C) que hace que sus propiedades originales se mantengan intactas a lo largo del tiempo, con la posibilidad de reactivarla en el momento que sea necesario. Existe otro proceso de conservación que se utiliza para generar un respaldo de las muestras conservadas denominado proceso de liofilización, que consiste en una deshidratación total de la muestra, pudiendo mantenerla en tubos de vacío y baja temperatura, en buenas condiciones sin necesitar suministro de electricidad o nitrógeno. El proceso de modernización en estas áreas de resguardo de innovación lo inició el INAPI en el año 2011 con la búsqueda de un centro de investigación de alto nivel con capacidad para constituirse en la Autoridad Internacional de Depósito de Microorganismos para Sudamérica, eligiéndose al Instituto de Investigaciones Agropecuarias (INIA). Con el apoyo técnico de los expertos de la Organización Mundial de la Propiedad Intelectual (OMPI) a mediados del 2012, el INIA se convirtió en Autoridad Internacional de Depósito de Microorganismos (sigla en inglés IDA), siendo la primera y única en Latinoamérica. Según informa el INAPI, este primer depósito desde el extranjero es un incentivo a que otros países de la región envíen sus cepas a Chile, en donde tienen ventajas sobre otros bancos, pues además de menores precios comparten el idioma y los tiempos de trayecto de la cepa al lugar de depósito, son menores que si se enviara a Europa o Norteamérica. Precisamente la ventaja del idioma común fue lo que motivó este depósito según informó la consultora mexicana que asesoró al Instituto de Ecología en este proceso. 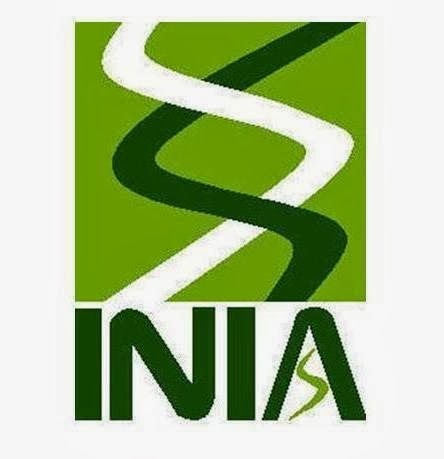 En el banco del INIA tienen más de dos mil cepas, las cuales han sido recolectadas a lo largo del país, conservadas a través del tiempo y pertenecen a una colección de carácter público. Sin embargo, esta nueva cepa se suma a otra proveniente de la Universidad del Biobío (Chile), pasando a ser el segundo depósito de carácter privado y primero extranjero, que bajo el tratado de Budapest llega al laboratorio. The IPtango has received a review copy of Simon Stokes’ Digital Copyright Law and Practice. Simon Stokes is a solicitor and a partner with Blake Lapthorn and he is a visiting research fellow at Bournemouth Law School, UK. The fourth edition is published by Hart Publishing in 2014 and is up-to-date to June 2013. The edition covers issues such as the Google Library Project (i.e. scanning material into this searchable database); collaborative and jointly authorship (e.g. Wikipedia); digital images; linking; Open Access; e-books; and apps; among other. Good to see in the book was a Chapter dedicated to Moral Rights. The author asserts that this is new in UK law and yet he manages to bring the principles into the digital environment in a very clear way. The book is mainly establishing the UK position but sometimes goes further as to look at the US experience. Yet, the book is a fine read for the Latin America audiences since it brings and gives a clear understanding of the policies surrounding this modern issue i.e. digital content. The first edition of this book in 2002 was the first UK text to examine digital copyright together with related areas such as performers' rights, moral rights, database rights and competition law as a subject in its own right. Updated editions have included the UK implementation of the 2001 Information Society Directive and commentary on user-generated content and the development of Web 2.0 and beyond. Now in its fourth edition, the book has been updated and revised to take account of legal and policy developments in copyright law and related areas, in particular the increasing role of the Court of Justice of the European Union in shaping EU copyright law. The book helps put digital copyright law and policy into perspective and provides practical guidance for those creating or exploiting digital content or technology, whether in academia, the software, information, publishing and creative industries, and other areas of the economy. The focus is on the specifics of the law in this area together with practical aspects, including precedents and precedent checklists dealing with common digital copyright transactions. The latest edition has been expanded to include a discussion of Open Access, eBooks and app development and licensing. Both academics and practitioners will find the book an invaluable guide to this rapidly developing field of law. To order a hardcopy here (EU) and here (US). Electronic publication available from March through the Hart Publishing website.